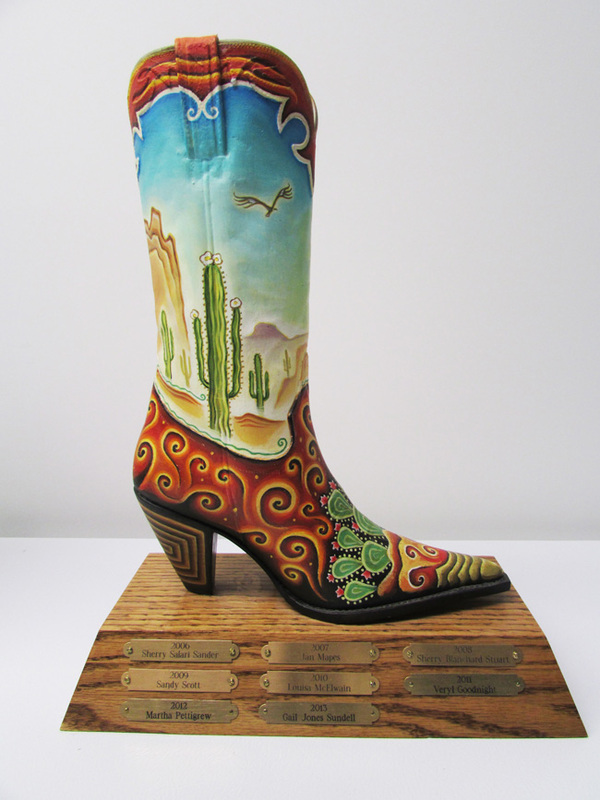 Typically Tim Zeltner paints his illustration on wood, but when the Desert Caballeros Western Museum approached him to paint on a leather boot for the annual Cowgirl Up award, he was up for the challenge! This boot would become the 'glass slipper' to be awarded to a woman who captures the spirit and the lifestyle of the West each year at the popular springtime exhibition. The 2015 exhibition is opening today. 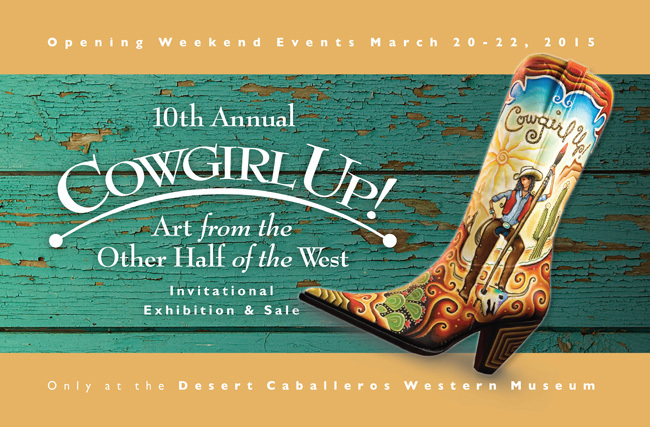 Join the Desert Caballeros Western Museum as they celebrate the 10th Anniversary of Cowgirl Up! As a special offering this year, the museum asked Tim to paint another boot with a 10th Anniversary painted on it! Check back--we'll share more news and pics of the event next week. Check out Tim Zeltner's entire portfolio. Power Down Little Robot, is a very special children's picture book lovingly illustrated by Tim Zeltner and written by Anna Staniszewski. When it's time to power down for the night, Little Robot is not ready and he quickly opens his stalling program. From there, the story is very familiar to avoidance experts everywhere (mombots and dadbots), and told with one fun twist after another. In the end Mom Unit knows how to get him tucked in to his module as he finally powers down. Sally Doherty, Executive Editor for Henry Holt Books for Young Readers, fell in love with Tim Zeltner's art. Power Down, Little Robot is the second picture book she has commissioned him to illustrate. Upon receiving Tim's final art for the book Sally's reaction was, "Wow! You've done it again--you've really knocked us out with your extraordinary vision for this story. I just love everything about what you've done: the colors, the style, the expressions. Fantastic!" Well deserved praise for Tim Zeltner's beautiful hand painted illustrations on wood. "Now hurry and clean your cogs. ", says Mom Unit. The Little Robot says to himself, "I try to brush them at half my normal rate, but nothing gets past Mom Unit's sharp eye." "But I'm not tired! Look. My power level is still at yellow." "But I need to tell you a secret!...Did you know that a hummingbot flaps its wings a million times a second?" "The sleep module is soft and warm. Maybe I could close my eyes for a millisecond..."
Tim Zeltner has created this beautifully atmospheric illustration that transports one right into the scene in his trademark style. The characters are both primitively whimsical and yet the story is so real! This image always brings a smile to my face. Here's hoping your Halloween is sufficiently scary + abundant with treats! To see more of Tim's magical illustrations, check out his portfolio here!